Music! Yes, it is important to me! This week on an evening Rob and I were discussing on Skype the best guitar players we knew. Many famous names were mentioned. Great memories of great guitar solo’s…. And then Rob mentioned one name: Gary Moore! Awesome songs as “Empty Rooms”, “Still got the Blues”, “Always gonna Love You” and “One Day” echoed in my mind. Great music with strong lyrics and marvellous guitar solo’s! Throughout his career, Moore experimented with many musical genres, including rock, jazz, blues, hard rock and heavy metal. But for me personally his blues period was the best. He performed in bands as Thin Lizzy, Mother’s Finest, Burce-Baker-Moore and Skid Row. I can remember how I years ago sang loud along with his songs, complaining about “still have the blues” and assuring “that I always will love you”. I think that especially the sound of “Still got the Blues” will be recognized by many, although just as many may not connect the name of Gary Moore to it. For me is the way he made his guitar cry and scream unique in the world. 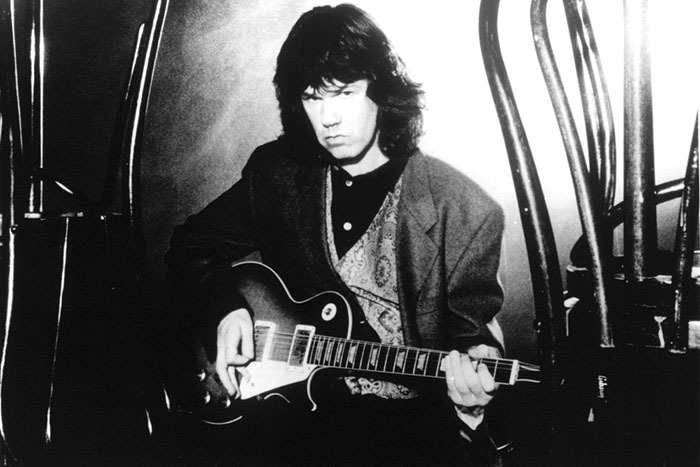 Gary Moore died of a heart attack in his sleep at the age of 58 during the early hours of 6 February 2011. It is said that alcohol was of influence on his death. Indeed, he was an awesome guitar player!